What makes Little Mushroom Catering so special? We can give you all the same promises as the other guys, but we don’t just talk the talk. We buy from local farmers and prove it by being Feast On Certified through the Culinary Tourism Alliance. 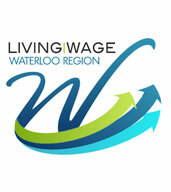 Our amazing staff are worth every penny and we prove it by being a recognized Living Wage Employer. We are reputable, professional, and won’t disappoint – that’s how we got our 911 Wedding Certification. We care about the environment and prove it by recycling and composting on site at your event – we’ve even won awards for our sustainability efforts! Unlike private chef companies, we own our own equipment, delivery vehicles, and use our own trained event staff. We are fully insured, licensed and work out of a public health board approved kitchen and are happy to provide any documentation you require for your venue. We have a minimum order of $500. This usually translates to 25 people minimum for lunch or a cocktail reception. All hors d’oeuvres must be ordered by the dozen, with a 2 dozen minimum per hors d’oeuvres. Do you require a down payment for booking? What’s your cancellation policy? For any event over $1000 we require a 25% down payment to hold the date for you. The remainder of your payment is due within 15 days of your event. For weddings, payment is due 15 days prior to the wedding and any final additional charges are due within 7 days after your wedding (to account for any changes in rental or staffing prices). An interest charge of 5% per month will be added to any accounts over 30 days. If you have to cancel, your down payment will act as your cancellation fee. Cancellation less than 24 hours of an event’s start time will result in full payment being required. We take cash, cheque, debit, e-transfers, bank drafts, Tradebank dollars, Visa or Mastercard. You can call into the office and leave your payment information with our office staff at 226-791-4537. Cheques can be sent via snail mail to 290 Thompson Dr. Unit 5, Cambridge, ON N1T 2E3. E-transfers can be sent to steph@littlemushroomcatering.com. Please allow us a 72hr lead time for any corporate lunch catering. Our weekends get booked up very quickly, especially Saturdays for weddings. Please allow yourself as much time as possible to book our services so you don’t miss out. Check out our on-line calendar for weekends that are already fully booked. How much does it cost for rental dishes? We can also provide pricing for linens, tables, chairs and any of your other rental needs. If you prefer to rent your items separately or need decor help, we suggest working with our awesome partners at AWE Events or ABC Rentals. What venues can Little Mushroom Catering cater to? Check out our list of preferred venues here. We can also cater to any home, private business, city hall, community centre or church. If you are booking a golf course, hotel, or other hall, please check to make sure they allow outside caterers before asking for a proposal. We charge a $35 delivery/equipment rental fee for all drop-off events at locations within Kitchener, Waterloo & Cambridge. For events outside of the tri-cities we charge a delivery fee based on mileage. We travel up to 2 hours outside of Waterloo Region for special events that reach our $1000 minimum. Why is there no gratuity line on our proposal or invoice? We pay all of our staff a living wage so they are not dependent on tips. No tipping is required. If you had exemplary service and would like to offer something extra to our on-site or kitchen staff, you are encouraged to do so in the form of a cash tip. Any gratuities added to a credit card will be split among the staff who worked your event on their pay cheques. Do you supply servers & bartenders? How many do I need? We have SmartServe Certified servers & bartenders available to you for a rate of $35/hour. You need an additional bartender for every 75 guests at your event. For plated meals we have a minimum 16:1 ratio for servers. Buffets & Stations have a 20:1 ratio and cocktail style receptions have a 50:1 ratio. As a caterer who does not operate a hall or restaurant, we do not have a liquor license. It is the responsibility of the host of the event to apply for a Special Occasion Permit from the LCBO at least 30 days prior to your event if your event is in a public or rented space. It is also the hosts responsibility to obtain Party Alcohol Liability Insurance. If you need help with this, just ask one of our trained Event Coordinators. Yes, tastings cost $25/person and we can hold up to 8 of your guests in our tasting room located at Unit 6, 290 Thompson Drive, Cambridge, ON. We try to have at least one tasting day every month where you and your guests enjoy a 1 hr private tasting & can ask questions of our coordinators. We stand by our products and services and are happy to discuss concerns with our clients. We do, however, ask that all concerns are brought forward within 24 hours of your event so they can be dealt with as quickly as possible. We have Event Coordinators to answer your questions and offer you guidance leading up to your event to ensure that you won’t be disappointed. We try to work with your budget, but the age-old adage goes, you get what you paid for, so please heed our warnings and make sure you order the proper quantities for your event. It is fully up to our discretion whether a customer satisfaction discount is warranted. We are committed to environmentally sustainable practices in our work place. We have a full recycling & composting program at our kitchen. We encourage our clients to use our rental dishes rather than disposables and all of our serving dishes are reusable. We buy from local suppliers whenever possible, including our friends at Oakridge Acres, T & J Seafood, and Top Market Meats. We are supporters of Foodlink Waterloo Region and have been involved in sustainability round table discussions. In 2017, we were awarded a Business Excellence Award for our Sustainability efforts by the Cambridge Chamber of Commerce and were featured in a case study by Energy Plus. Do you have an AODA policy? Our tasting room & washrooms are accessible for guests who have mobility restraints. We are conscious at our off-site venues in regards to accessibility for all people, including using lower tables for our pop-up bars and training our servers in best practices. We have also hired through the March of Dimes program and offer accommodations for any and all staff who require it. If you have any feedback regarding AODA compliance, please contact our Events Coordinator Beth at beth@littlemushroomcatering.com. Do you sponsor groups or events? Little Mushroom Catering is an avid supporter of the arts, business & social enterprise in Waterloo Region. We sponsor many community events and offer silent auction items to dozens of fundraisers every year. In 2016 alone we gave over 180 non-profit discounts to local programs and organizations. If you would like us to consider providing catering services for your fundraiser or community event, please fill out our handy dandy Sponsorship Form and send any additional information to our office e-mail at info@littlemushroomcatering.com.